The Urban Institute, a well-respected Washington D.C.-based think tank that carries out independent social policy and other research, conducted a comprehensive evaluation of the Criminon program. 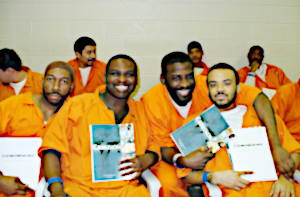 In March 2005, the Association for Better Living and Education (ABLE), the nonprofit organization that administers Criminon and other social betterment programs, contracted with the Urban Institute to conduct a process and impact evaluation of the on-site version of the Criminon program. The purpose of the evaluation was to assess the extent to which the Criminon curriculum is consistent with research literature regarding “best practices” in prisoner rehabilitative programming. A copy of the full Urban Institute report may be obtained upon request.